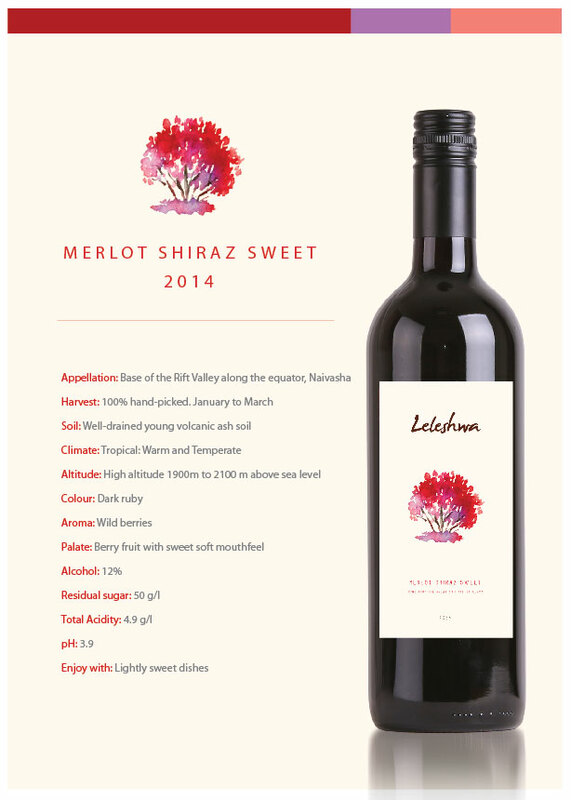 The Kenyan sweet tooth inspired our Sweet Red blend of grapes reminiscent of ripe black fruits and exotic spice. It works beautifully with light sugary dishes. Serve slightly chilled. 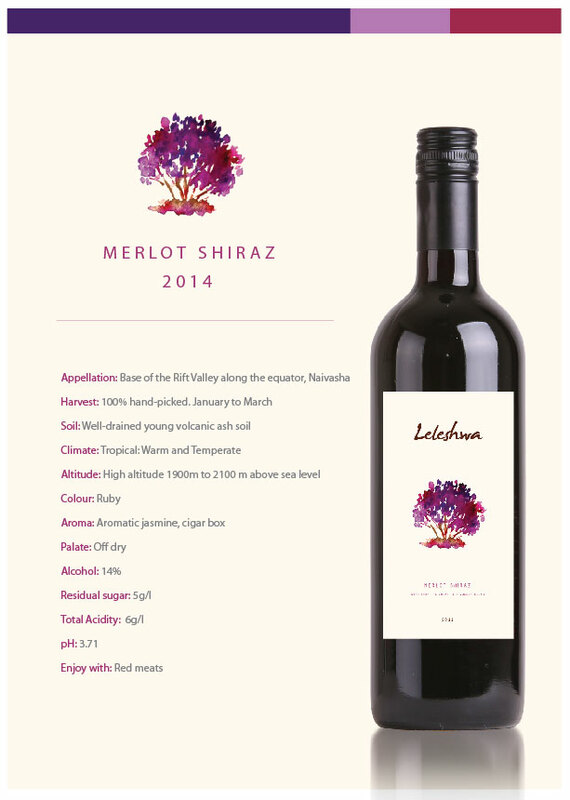 If you prefer things red and dry, our Merlot-Shiraz may be more to your taste, with its intense ruby robe imbued with aromatic jasmine and cigar box scents. This dry delicacy complements red meat and is best enjoyed after decanting at cool room temperature. It goes especially well with nyama choma and wild game dishes. A glass of well-chilled Rosé enhances the pleasurable taste of white meat served with a gentle twist, such as chicken salad or poached fish. Its fruity flavour toasts the endless summer of the tropics, giving no hint of our cool and gentle months. 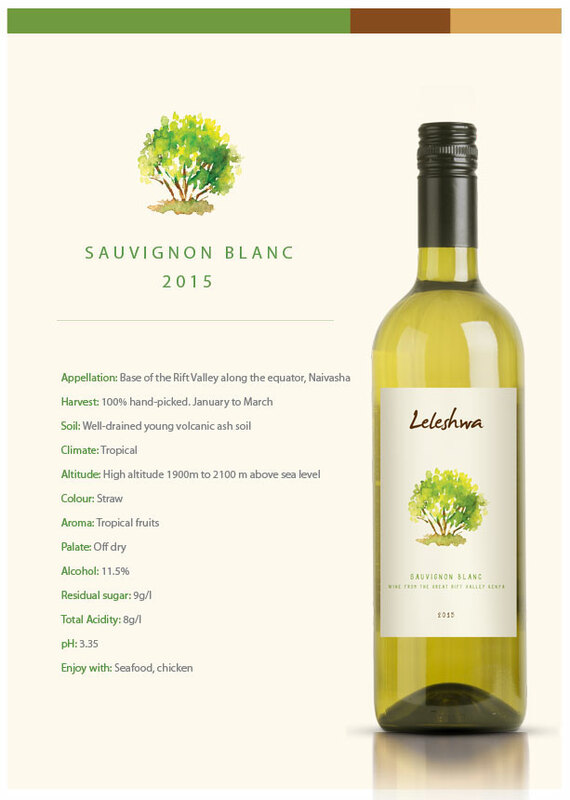 Over the years, our Sauvignon Blanc has become our flagship, the jewel of our wine stable. 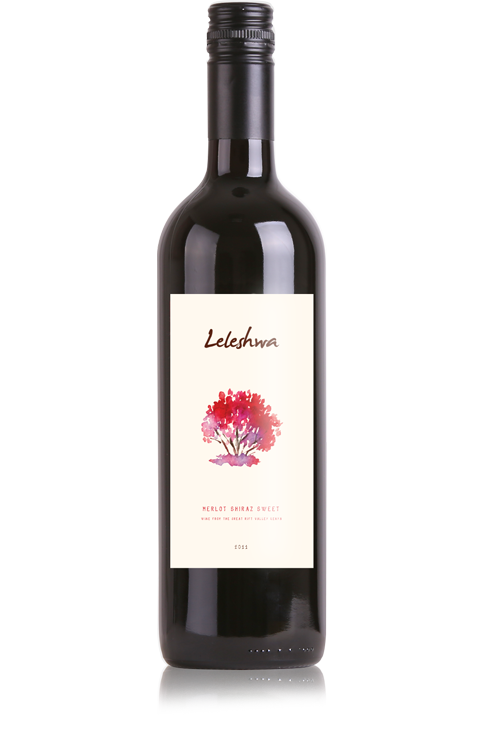 Its crisp, off-dry palate hints at tropical fruit flavours such as passion fruit and grapefruit. Like many white wines, it favours white meats and is ideal when chilled well and paired with seafood, chicken, paella or pasta. Still, even the greatest nobles bear new generations, and our white grapes do have some mildly tanned offspring. Leleshwa Sweet White introduced to the market in December 2017 has grown the Leleshwa family to 5 variants. 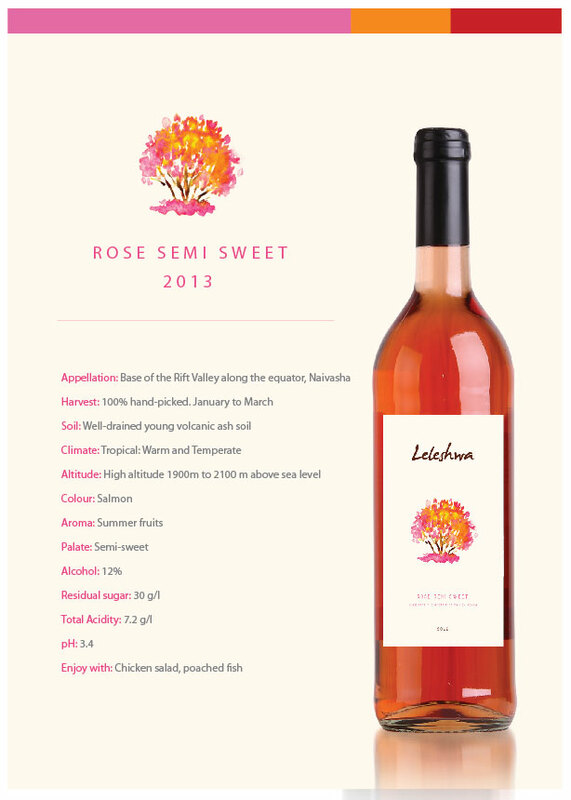 The Kenyan sweet tooth inspired our Sweet White blend of grapes, reminiscent of ripe citrus fruits. It pairs well with lightly spicy dishes, fruity desserts, and sweet sauces. Serve well-chilled. A new authentically Kenyan taste for any situation, occasion or location.